PTI offers non-destructive inspection solutions for 100% online inspection of retort pouches. The critical issues with retort pouches continue to be seal quality and pouch integrity. Detecting defects early on in the manufacturing process is critical to increasing output, reducing waste, while assuring product quality and shelf life. 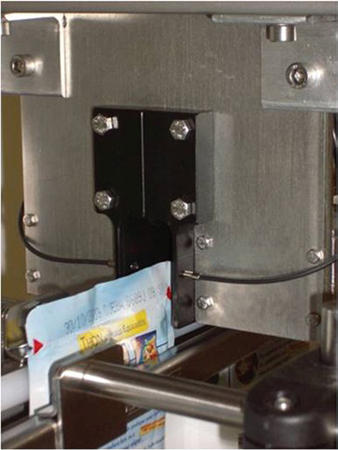 Seal-Scan® and Seal-Sensor systems utilize non-contact ultrasound technology that provide automated inline scanning of pouch seals. Seal-Scan® provides high resolution rapid real-time result data of pouch seal quality and detects common defects that affect product quality and shelf life. Seal-Sensor provides an instant reading of seal presence, quickly detecting incomplete seals, partial or missing seals. E-Scan HVLD technology inspects the integrity of the entire pouch, detecting pinholes, cracks, crystallized leaks and channel seal defects. HVLD inspection systems are designed specifically for retort pouch applications made of non-porous, non-foil materials.